Here's a silly question to ask; Have you ever watched The Simpson's, a popular animated show on TV? 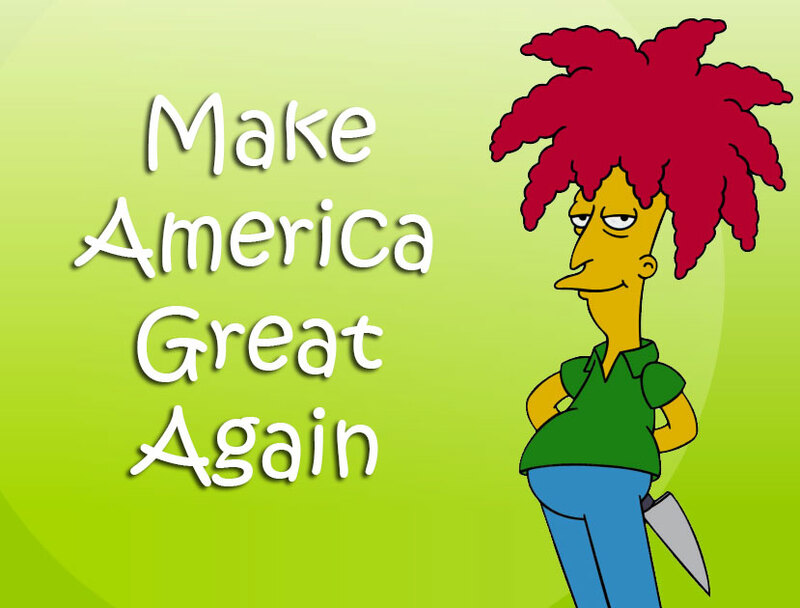 If you have, do you remember Sideshow Bob? He was a self-proclaimed genius, member of the Republican Party (is any of this sounding like someone else you know? ), champion of high culture, and Bart Simson's archenemy. He was also a former children's entertainer (Trump was an entertainer in The Apprentice appealing to a childlike segment of the country) before turning into a criminal mastermind. To change the conversation about the upcoming release of Mueller's report, Sideshow Trump put on a series of sideshows to distract Americans recently. 2.) Trump Blasts Kellyanne Conway's Husband George Conway: Husband From Hell, Conway says You.Are.Nuts. I could go on and list more examples, but I think you got the point by now. Trump's recent twitterstorm and public statements are sideshows meant to distract us. To take the focus off his real fear...what the Mueller report is going to reveal. Until that fateful day arrives we can expect more sideshows from the clown in the Oval Office.